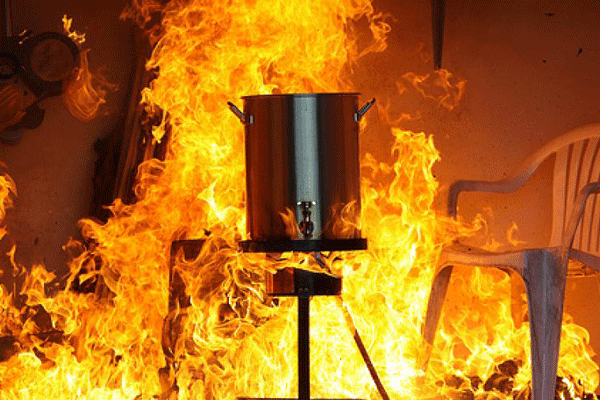 FACT – The leading cause of fires in the kitchen is unattended cooking. 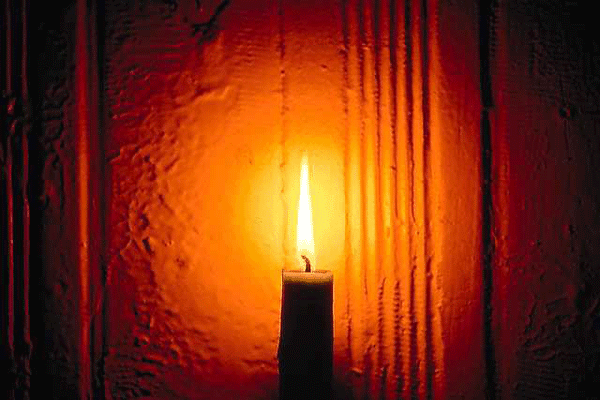 FACT – Roughly one-third of home candle fires start in the bedroom. Have all of the electrical work done by a qualified electrician. When you are buying or remodeling a home, have it inspected by a qualified private inspector or in accordance with local requirements. 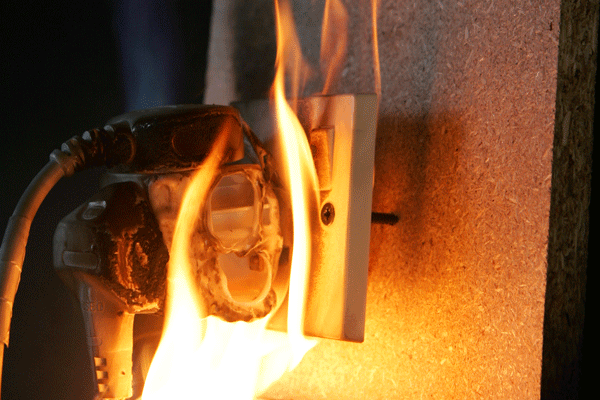 Arc-fault circuit interrupters (AFCIs) shut off electricity when a dangerous condition occurs. Consider having them installed in your home. Use ground-fault circuit interrupters (GFCIs) to reduce the risk of shock. GFCIs shut off an electrical circuit when it becomes a shock hazard. They should be installed inside the home in bathrooms, kitchens, garages, and basements. All outdoor receptacles should be GFCI protected. Test AFCIs and GFCIs once a month according to the manufacturer’s recommendations. You do not need a flame to start a fire. Fires can start when heat builds up near things that burn. This can happen when a hot light bulb is near things that burn, such as cloth or paper, or a cord has been placed under a carpet. Check electrical cords to make sure they are not running across doorways or under carpets. Extension cords are intended for temporary use. Have a qualified electrician add more receptacle outlets so you don’t have to use extension cords. Use a light bulb with the right number of watts. There should be a sticker that indicates the right number of watts.